Over 3500 sq ft of finish in this Well-maintained 4 bed home. 2 story foyer welcomes you as you enter. Large living room w/refinished fireplace -2017 that is open to the dining area and kitchen. Remodeled kitchen with new countertops, sink and backsplash -2016. Lots of Storage and counter space in the kitchen as well as a spacious pantry. Sit and relax in the sun room just off the kitchen that overlooks the backyard. 2nd level contains large master and en suite with separate shower/tub. 3 additional beds and full bath on 2nd floor. 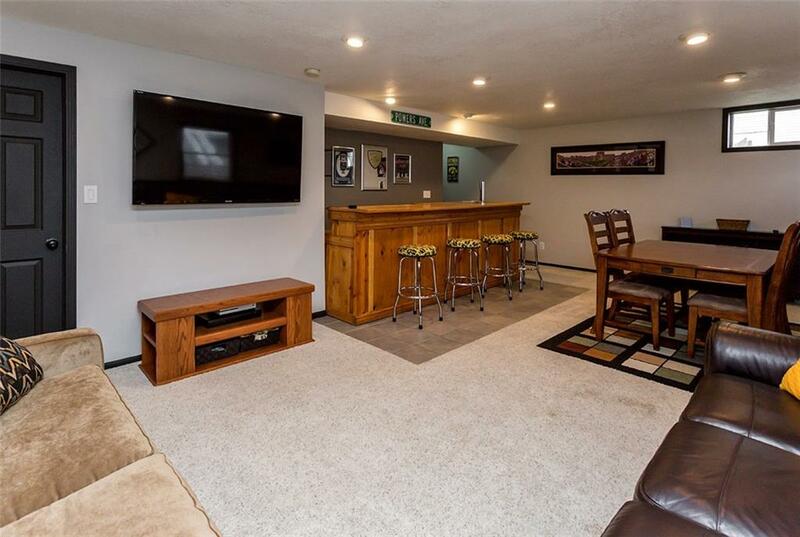 Lower level is great for entertaining with bar, rec room/living room. Basement is stubbed for bath. Spend many weekends/nights on the newly poured cement patio (2015) or deck. Fully fenced yard. All new paint in 2015. New carpet in 2019. New blinds - 2015. Floors were redone in 2017. New lights/fixtures. New smoke detectors in 2019. Great location - close to Jordan Creek mall, restaurants, parks and bike trail. Waukee Schools Brookview Elementary.